Home Food Celebrity Chef Gabrielle McBay Joins DeSoto Living! 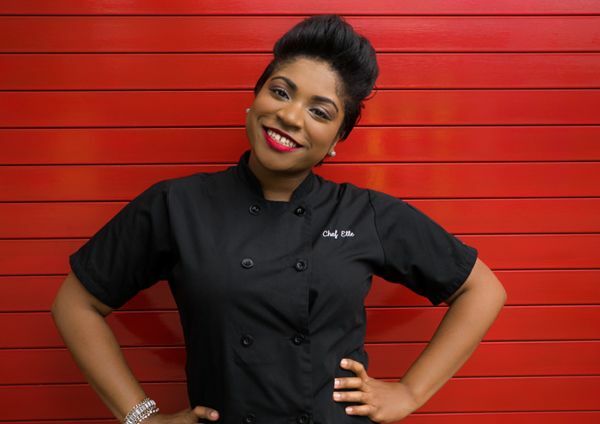 Celebrity Chef Gabrielle McBay Joins DeSoto Living! DeSoto Living! is an event designed to highlight and celebrate life and living in the DeSoto and Best Southwest. Local and area businesses and food vendors will be doing demonstrations, giving away goodies, brochures and samples and offering valuable discounts on goods and services. The Food Court will offer burgers and hot dogs from the DeSoto High School Culinary Arts Program. Costco will serve their delicious white and chocolate cake. Other food vendors will be announced in the coming days. Vendor spaces are available for $100, includes table, chairs and draping. Call the Chamber for registration information at 972-224-3565 or email Rachel Hill at marketing@desotochamber.org.